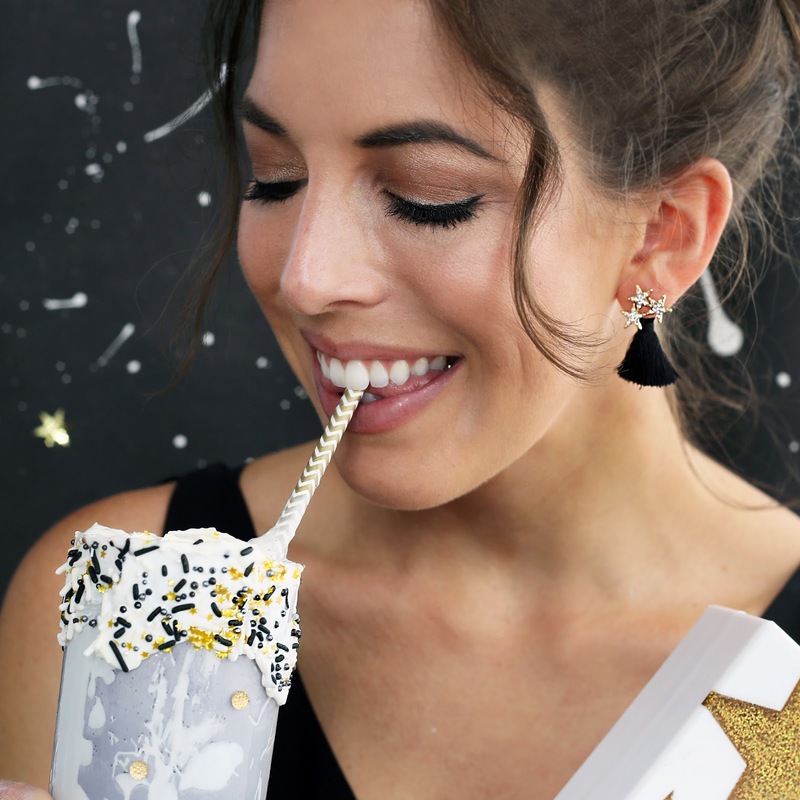 Summer Night Galaxy Party: What To Craft, Make & Wear! / Hey, EEP! 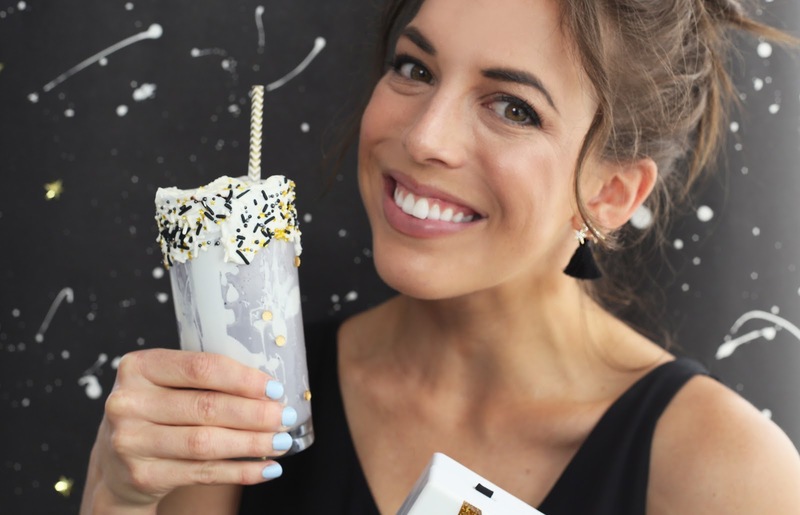 Summer Night Galaxy Party: What To Craft, Make & Wear! I'm dying to throw a moody night-sky themed party. 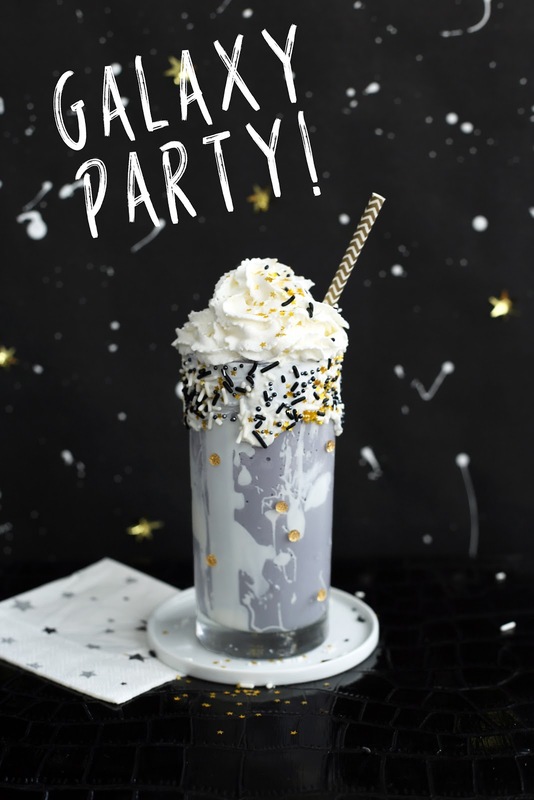 Imagine this: Sparkly star-print decor, Insta-worthy milkshakes, slinky black dresses, glitzy earrings & too much champagne! Who wants to come over!? The first thing I do when I'm throwing a theme party is figure out a photo backdrop. I'll be honest, when you live in a New York City apartment, you don't always have the space (or light) for those gorgeous blog photos you see of parties in spacious, super-photogenic studio spaces. I'd you're like me, you're working with a crammed setting, limited seating and no space for a big decorated dining table...let alone a real photo booth! So I like to decorate a roll of craft paper and tape it to a sliver of wall near the window so it gets some natural light and guests can get a few selfies for their Instagram. 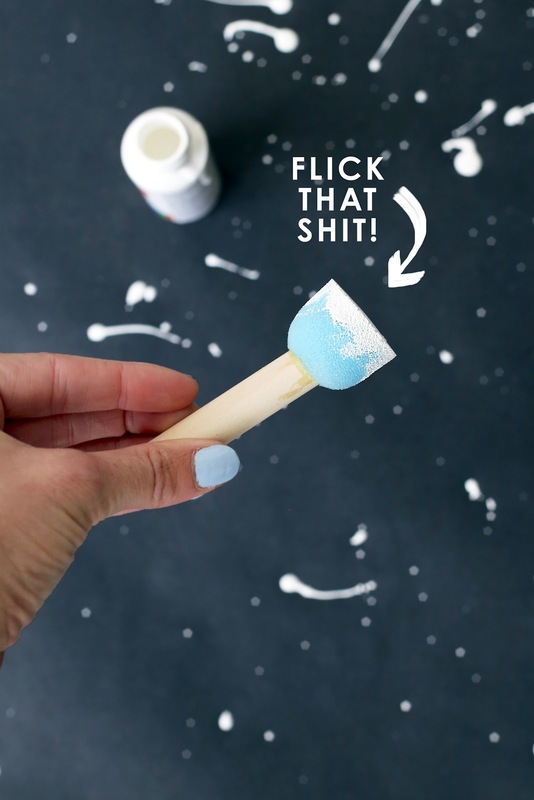 For this galaxy print photo background, I splattered black craft paper with white paint. Once it dried, I glued on stars for one of those metallic garlands. Voila! Fake it till you make it. 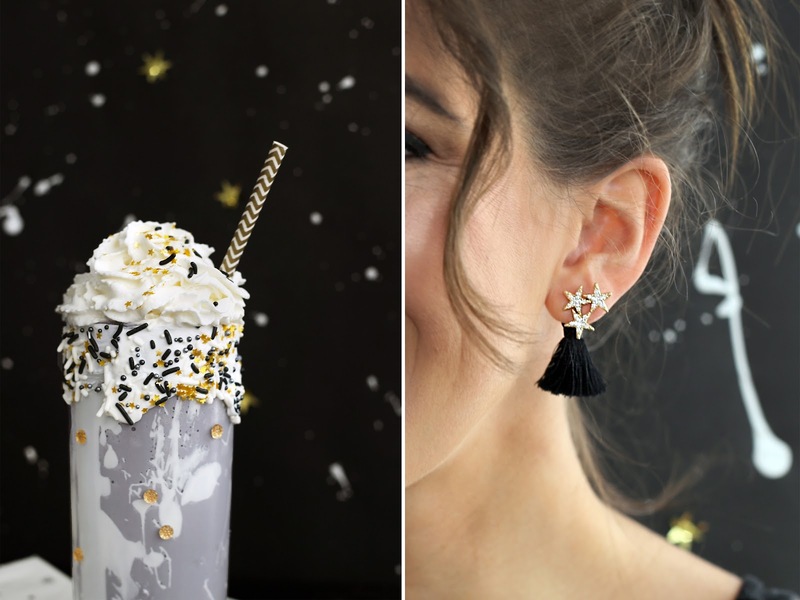 You can see how it looks in action behind the milkshake and accessory photos below. 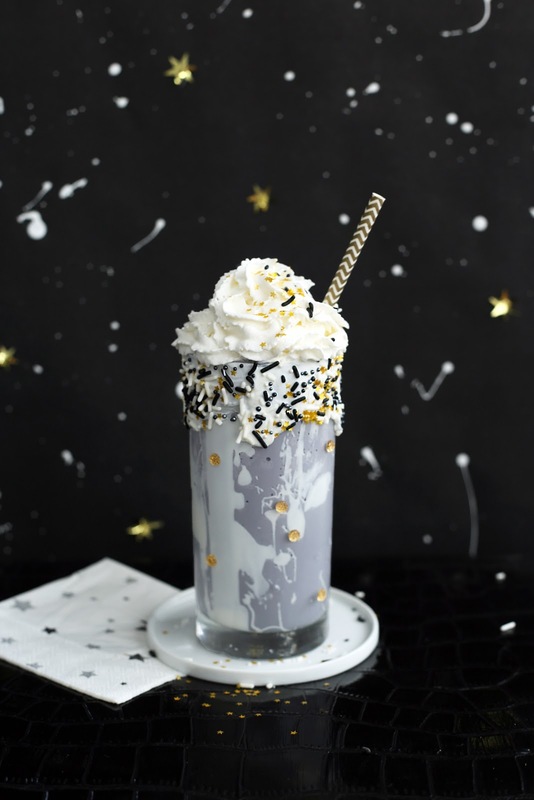 For food, I've been in the mood to make an over-the-top milkshake and this felt like the perfect opportunity. You can prepare the glasses a day or two in advance and keep them in the fridge. 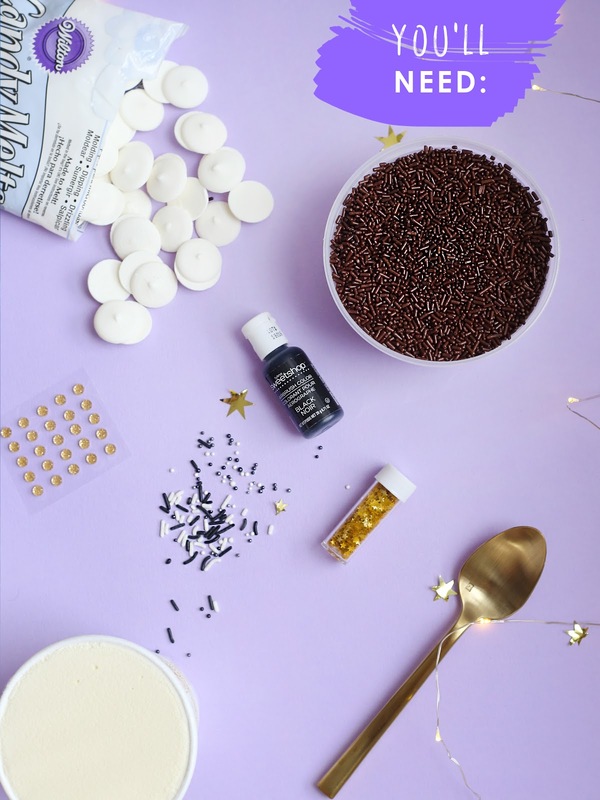 Spread the inside and outer rim with melted candy melts and sprinkle with assorted sprinkles or edible glitter—or both!! Now for the party look! I wish I had a star print dress to go along with the whole night. I've been absolutely dying over this one from Free People but it's a little expensive. Maybe not? Should I buy it!? Instead I like to dress up a plain black slip dress, like this silky one from Aritzia, with sparkly cosmic accessories. My bag was a great find on ASOS (it's sold out but here's one that's similar). 1. Drizzle the glass with candy melts and sprinkle with sprinkles; chill until set about 5 minutes. I feel like this would be a great theme for a block party or barbecue. What do you think? Do you do an annual summer party? Could this work for it this year!?! 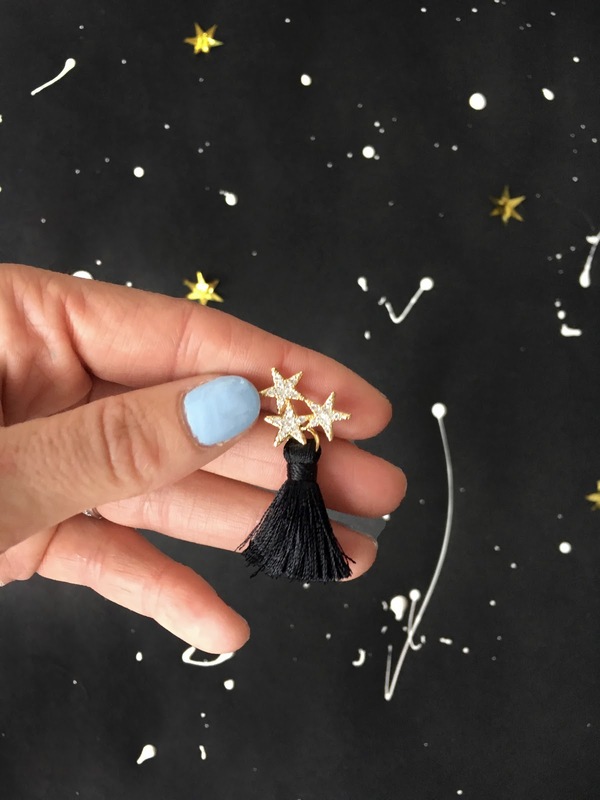 Disclosure: Small Things sent me the earrings to wear for this party, which was so nice! As usual, all content and opinions are that of my own. Thank you for supporting the brands who support Hey, EEP!